Laurent Desire Kabila was born on 27 November 1939 into the Luba tribe in the Katanga Province in the Belgian Congo. In 1960 Kabila became a leader of a youth wing of an alliance with the country’s first post-independence prime minister, Patrice Lumumba. A bloody civil war ensued between the Marxist prime minister and his chief opposition, Joseph Mobutu. As a result, Lumumba was subsequently deposed and killed by Mobutu on January 17 1961. In 1963 Kabila formed the People’s Revolutionary Party that was comprised of Lumumba’s old supporters who wanted to revolt. In his attempt to lead the revolt against Mobutu, Kabila was joined by one of the most prominent communist revolutionary leaders, Ernest “Che” Guevara. However, in his diary, published in 1999, Guevara noted Kabila’s lack of involvement in the party and the general lack of organisation in the group. By this time, Mobutu had renamed the country Zaire and Kabila was smuggling gold and timber on Lake Tanganyika. For the next 20 years, Kabila went into exile in Tanzania while involved in periodic fighting with the repressive and corrupt Mobutu regime. In the mid-1990s Kabila returned to Zaire and became one of the leaders and spokesmen of the Alliance of Democratic Forces for the Liberation of Congo. 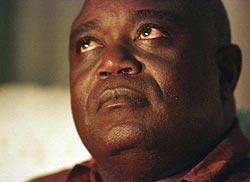 As the numbers grew, he led the Tutsis against the Hutu forces, which resulted in the First Congo War in October 1996. The forces almost completely overrun the country and the remains of Mobutu’s army. As a result, Mobutu fled to exile on 16 May 1997 and Kabila proclaimed himself president the next day. He was sworn in on 31 May and officially commenced his term as president. During his presidency Kabila suspended the constitution and changed the country’s name to the Democratic Republic of Congo. Some saw him as a new breed of leadership while others saw him as a continuation of the authoritarianism and corruption that he was purportedly replacing. In 1998, his former allies who helped to bring him to power launched an open rebellion against him that was supported by Uganda and Rwanda. On 16 January 2001, Kabila was shot dead by his bodyguard at his presidential palace. That evening, as part of a punitive campaign by the DRC’s authorities, 11 Lebanese nationals were executed with the suspicion of being members of the opposition. On 26 January, his son, Joseph Kabila was inaugurated as the president to succeed him.